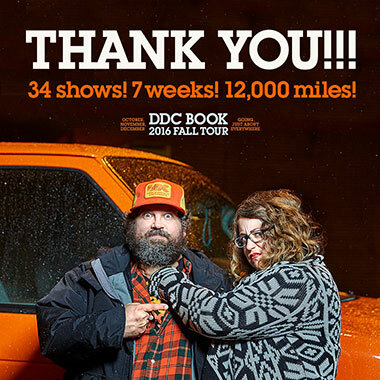 Draplin Design Co.: DDC 2016 FALL TOUR: 12,000 Miles of Appreication! Thank you to everyone who came out to the shows, bought some merch, brought in their books to sign, bought a book, shook our hands, told us their stories, came to a workshop, loaded in merch, shared a dinner with, helped us �€œfind the gig�€, set up any number of hospitable nights and facilitated the greatest adventure of my life. And, uh, we�€™re currently scheming up a blistering Spring Tour, that�€™ll cover, uh, EVERYWHERE ELSE. Dates announced after the new year! I do not want to subscribe to PayPal. Tried to pay with credit card but couldn’t go further without subscribing to PayPal. I would love to see you in Dublin 2017 to shake your hand man !